The award could have been higher had the whistleblower not waited until after leaving the firm to come forward, the SEC said. 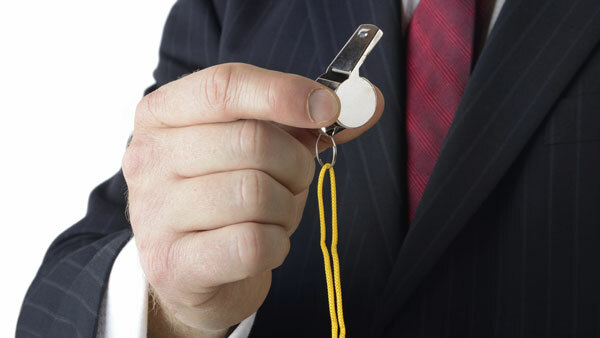 The Securities and Exchange Commission awarded a whistleblower who was a former employee at an investment firm $325,000 for giving the agency a “detailed description of the misconduct” and specifically identifying individuals behind the wrongdoing, which helped the SEC bring a successful enforcement action. The whistleblower’s information enabled the SEC’s enforcement staff to open an investigation and uncover the extent of the fraudulent activity. However, the whistleblower’s award could have been higher had they not waited until after leaving the firm to come forward, the SEC said. Since its inception in 2011, the SEC’s whistleblower program has paid more than $54 million to 22 whistleblowers who provided the SEC with unique and useful information that contributed to a successful enforcement action. Whistleblowers are eligible for awards that can range from 10% to 30% of the money collected when the monetary sanctions exceed $1 million.